An essential tool for website optimization, Form Analytics helps you understand what’s going wrong with your website forms. 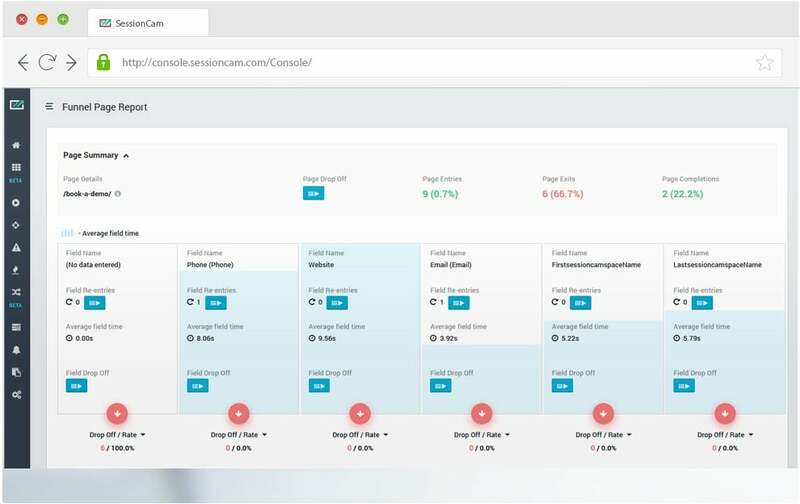 SessionCam records user behavior on your website forms to report key metrics such as drop-off, number of re-tries and average time taken for each form field as these are very strong signals of problem areas with the design of your form that need to be investigated. Our form analytic reporting is linked to Session Replay so you can see user behavior for each troublesome field and fully understand the root cause of any problem.